We introduce ourselves as a major entity engaged in providing supreme grade Secret Courier Bag. 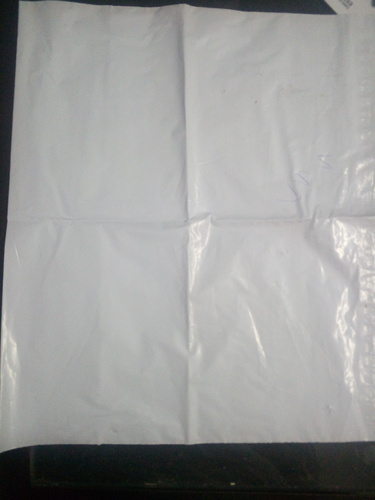 This bag is designed and manufactured by our deft professionals using excellent quality raw materials with the aid of sophisticated techniques in adherence with the market norms. Established in 2010, at Delhi, (India), we “Natasha Enterprises”, are a “Sole Proprietorship Entity”, affianced in Manufacturing, Trader and Supplying a high quality assortment of Window Metal Pouch, Tamper Proof Bag, Secret Bag, POD Bag, Laminated Pouch and Carrier Bag. Under the guidance of our Mentor “Raj Chawla (Proprietor)”, we are able to fulfill exact demands of our precious clients.